According to a recent report, the internet search giant Google has acquired Boston dynamics, a privately owned company that manufactures super human robots. These robots build by them look like the one belonging to a science -fiction movie and which are often co-developed or funded by the US military. Some of the robots that will now be belonging to Google after this acquisition are Big Dog, a four-legged robot that can climb muddy hills and Cheetah, a robot which can outrun the fastest human. The former boss of the Google’s Android mobile operating system, Andy Rubin led the acquisition, which is the latest by company’s secretive robotics division. It is reported that more than a half-dozen other robotics companies have been acquired by Google’s new robotics division. 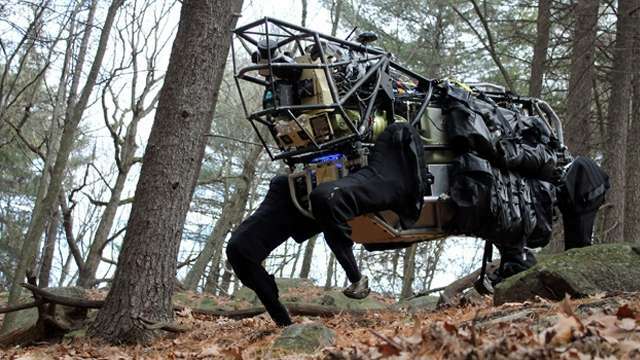 Although Google declined to comment and Boston Dynamics did not return requests for comment, however a person familiar with the matter confirmed the deal, which was first reported by the New York Times on Saturday, and said that Google will honor Boston Dynamics’ military contracts. Google has yet not unveiled its plans about robots as to what will they be doing with them. But then, recent media reports suggest that the company’s efforts were focused on developing robotics technology that can be used in factories.